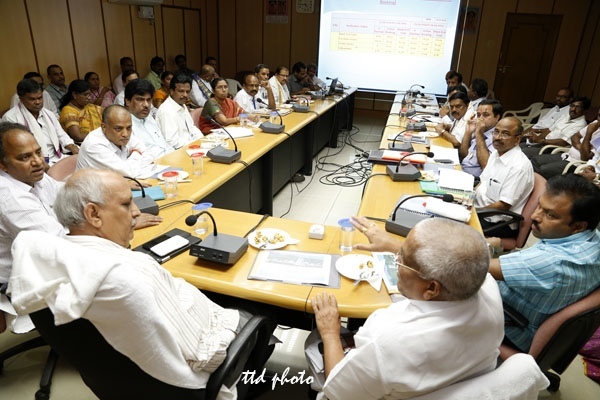 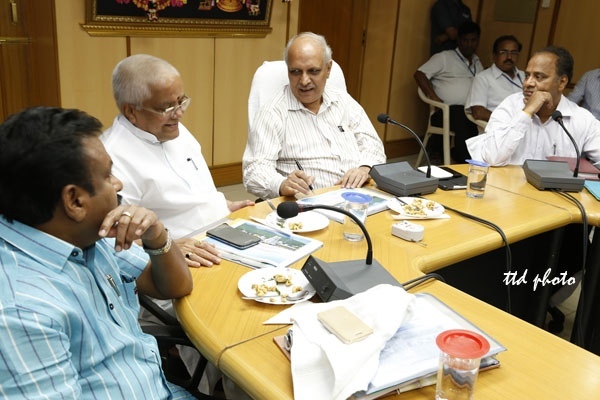 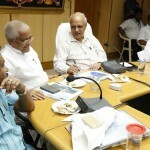 Tirupati, 11 September 2014: The Chief Secretary of AP Sri IYR Krishna Rao reviewed on various activities of TTD at Sri Padmavathi Guest House in Tirupati on Thursday evening. 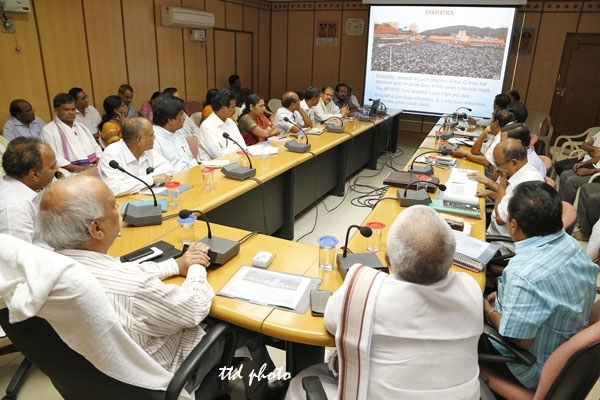 While appreciating the efforts of TTD EO Sri MG Gopal and his team of officials he called upon the mandarins of TTD to enhance Dharma Prachara activities, provide more amenities to multitude of Pilgrims and facilitate hassle free dharshan to them. 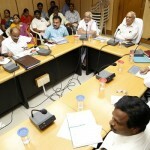 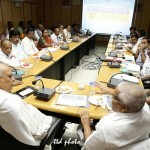 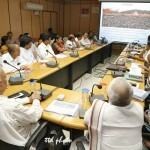 Earlier TTD EO briefied on the new programmes introduced in pilgrim point of view with powe point presentation. 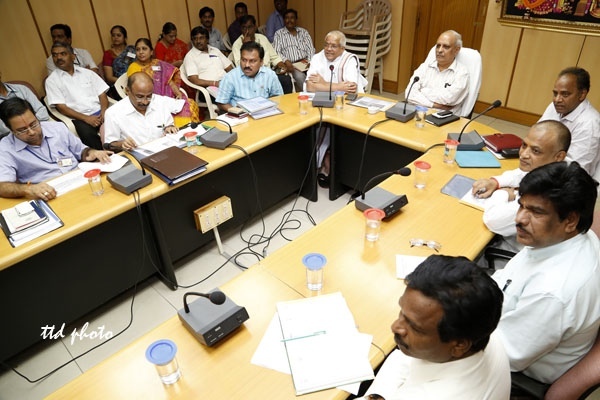 TTD JEOs Sri KS Sreenivasa Raju, Sri Pola Bhaskar, Chief Engineer Sri Chandrasekhar Reddy, Addl FACAO Sri O Balaji, SEs Sri Ramachandra Reddy, Sri Ramesh Reddy, Sri Sudhakar Rao and others officials were present.